This 2 storey villa is located on the gated community of Bella Vida and has 6 bedrooms and 6 bathrooms which will accommodate up to twelve guests in comfort. The first floor is open plan and has a fully equipped kitchen which has a breakfast bar that seats up to 4 guests and a breakfast nook that seats a further 4. There is a main dining table which offers seating for up to eight guests. In the main family living area there is a TV and large sliding doors that lead out onto the pool deck. The bedrooms are all on the second floor and consist of 1 King master with ensuite bathroom, 2 Queen rooms with ensuite bathrooms and 3 twin bedrooms, 1 with ensuite and 2 share a jack and jill bathroom. All the bedrooms have flat screen televisions. There is a games room located in the garage and has a pool table and table tennis, plus wireless internet is available within the home for guests to use. Outside you will find your own south facing pool, spa and sundeck that is equipped with outdoor pool furniture, plus a covered lanai to provide shade from the sun. The gated community Bella Vida Resort features Tuscan built themed town homes and villas. 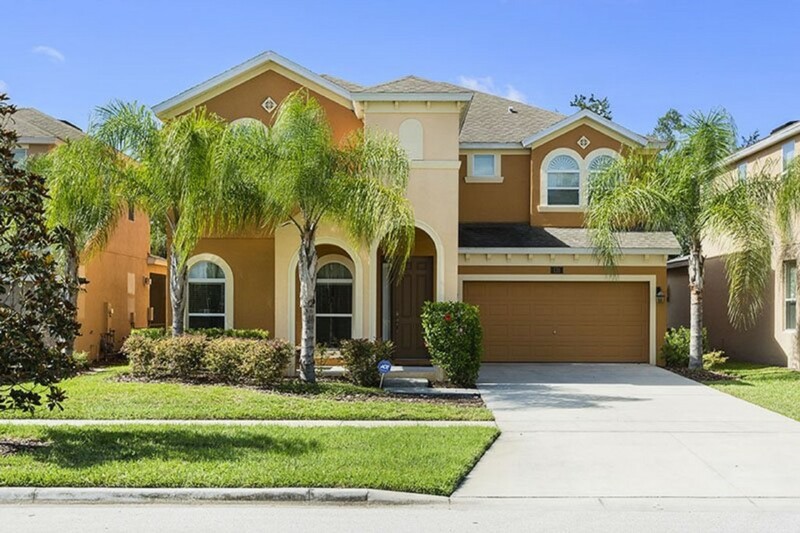 Ideally located just off the 192 the community is close to all the main attractions, shops and restaurants that Orlando has to offer. Bella Vida, which stands for Beautiful Life is surrounded by beautiful conservation areas and the community lakes and gardens entwine around the lake and fishing dock. The clubhouse boasts a host of features including an onsite reception area, 24 hour security staff, a community pool with spa, internet cafe, games arcade and a gym. For the more energetic guest there is a volleyball court, basketball court, bocce balls and a childrens playground.